The use of neonicotinoid insecticides has grown considerably since their introduction in 1990s. They are used extensively for the control of agriculturally important crop pests and also in the control of cat and dog fleas. Imidacloprid exploited through an elaborated structural and substituent optimization of nithiazine was launched to market in 1990. 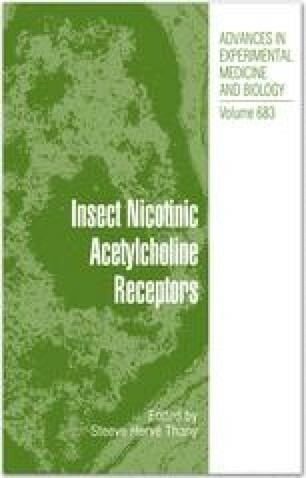 The selectivity of neonicotinoid compounds for insect species has been attributed to their binding on nicotinic acetylcholine receptors in which the negatively charged nitro- or cyano-groups of neonicotinoid compounds interact with a cationic subsite within insect nicotinic acetylcholine receptors. The first example of a pest evolving resistance to field use of neonicotinoids was Bemisia tabaci. Resistance to neonicotinoids can arise either through nAChR subtypes expression, detoxification mechanisms and/or structural alterations of target-site proteins. Consequently, a number of derivatives and analogues of imidacloprid have been generated to date. In 1992, a new neonicotinoid using acetylcholine as the lead compound has been found. This was dinotefuran, which has a characteristic tetrahydro-3-furylmethyl group instead of the pyridine-like rings of others neonicotinoids.